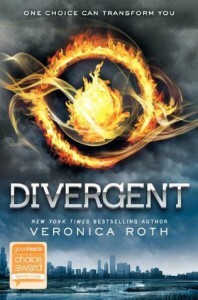 I love Divergent! I love dystopian-themed books. I think it's because of the reason that I think I'm living a dystopian-themed life where everything is controlled. Everything is monitored. And people make decisions for me. I empathize with Beatrice/Tris and felt that she thinks and feels like me in certain situations. And I love Four! I think that I'd fall in love with him if he were a real person. Tough but sweet and gooey on the inside.